Now let’s work on another use of parentheses! They are often used for acronyms, dates and numbers. 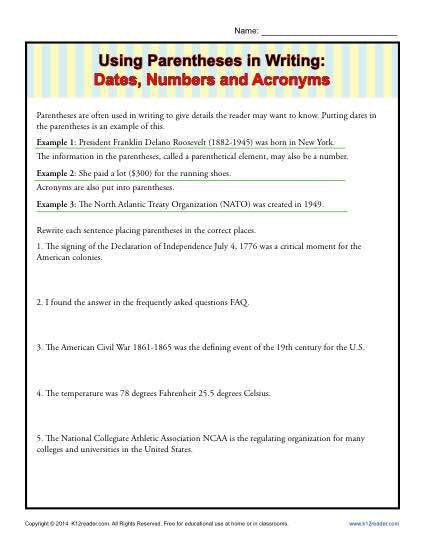 Your student is asked in this worksheet to add the parentheses in the correct place. It’s a fine way to work on punctuation skills, including Common Core Standards for 6th and 7th grade Language. Other students may also benefit with the practice.